As a market, India has always been attractive to foreign companies because of the rapidly growing market. But in terms of actually taking steps to register a company in India, many foreign companies shelved their plans because of the perceived difficulties in doing the necessary paperwork. Over the last few years, however, many steps have been taken to increase the ease of doing business in India, and foreign companies are being encouraged to have a footprint in India. In 2017, India jumped 42 ranks on the global “Ease of Doing Business” rankings, indicating that the pro-business steps are beginning to pay off. There are several ways in which a foreign company can initiate company formation in India. 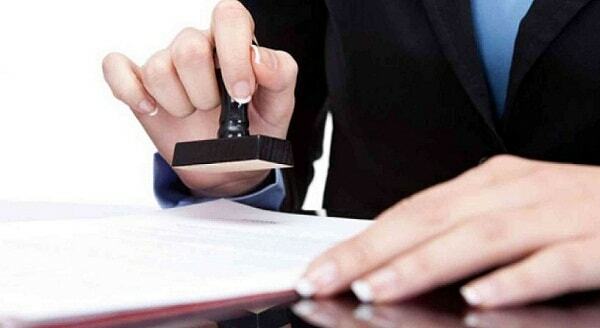 A company can enter the Indian market by registering a completely Indian entity or as a foreign company as well. In this post, we look at a few important facets of company formation in India. If a foreign company wants to carry on its Indian operations under an Indian entity, then it can go the joint venture route or create a wholly owned subsidiary in India. The wholly owned subsidiary would mean that a foreign company incorporates a new company which is held solely by the foreign company, or purchases all shares of an Indian company, which then becomes a wholly owned subsidiary of the foreign company. In a joint venture, the foreign company and the Indian partner sign an agreement (a Memorandum of Understanding or a JV Agreement) either for perpetual existence or for a specific project or limited duration. The formation of wholly owned subsidiary will need to comply with all the Registrar Of Companies processes including submission of different forms (DIR-12, INC-7, INC-22 etc. ), payment of necessary fees, opening of bank accounts, etc. Once the certificate of incorporation is received, the documents for capital infusion have to be submitted for complying with Foreign Direct Investment regulations prescribed by the Reserve Bank of India. A joint venture would also need similar approvals from the Reserve Bank of India and the Foreign Investment Promotion Board. In case a foreign company doesn’t want to create an Indian entity, there are three options open to it to do business in India – by setting up a liaison office, a project office or a branch office. For setting up these offices, the rules prescribe a certain tenure of continuous profits and a minimum net worth for the parent company. For example, a foreign company needs to have at least 3 years of profits in its home country and a net worth equivalent to at least US $50,000 to set up a liaison office in India. The requirements for setting up a branch office mandate 5 years of profitable existence and a net worth of at least US $100,000. A project office is usually set up when a specific project/tender has already been won by the foreign company. A liaison office, on the other hand, is meant to only carry out promotional activities, finalize collaborations and undertake collaborative activities, but no actual business activity. A branch office can be used for either manufacturing or trading. It is important to note that a liaison office cannot have an income and therefore cannot make a profit. A project office and branch office would be required to pay high tax rates on their profits (40%+) as compared to a wholly owned subsidiary or JV (30%+). More and more foreign companies are registering their businesses in India today on account of the easier norms and quick turnaround of applications. Many choose to test the waters with a liaison office to start with, and then set up a wholly owned subsidiary or JV a few years later. No matter what the format, it is important to start your India journey with the right knowledge of compliance and tax issues to avoid any unnecessary surprises.